Fostering Panther Pride was launched in 2013 and offers tailored academic and support services to students identified as formerly in foster care or homeless, including (from left to right) Erykah Jackson, Juan Munoz-Luna, Tyler Purnell and Karina Azevedo. Last summer, President Mark B. Rosenberg and the President’s Council – FIU’s premier community relations board – set an ambitious goal of raising $200,000 for the Fostering Panther Pride program over the next year. The program was launched in 2013 and is designed to meet the unique needs of former foster care and homeless students, helping them make a smooth transition to FIU. Less than 12 months after the goal was set, it was met. The President’s Council raised more than $230,000 during the 2016-2017 academic year, the first milestone in a five-year mission to raise $1 million for Fostering Panther Pride. The funds will be used to help program participants secure housing and meals, process homeless waivers, navigate university policies, receive referrals to resources, connect to community partners and access academic and professional development resources. In addition to providing former foster care and homeless students attending FIU with a success coach and mentoring program, the program helps FIU faculty conduct research to identify best practices for assisting the homeless and foster care youth population, producing a replicable model for other communities. During the Spring 2017 semester, the program served more than 140 foster care and/or homeless students. 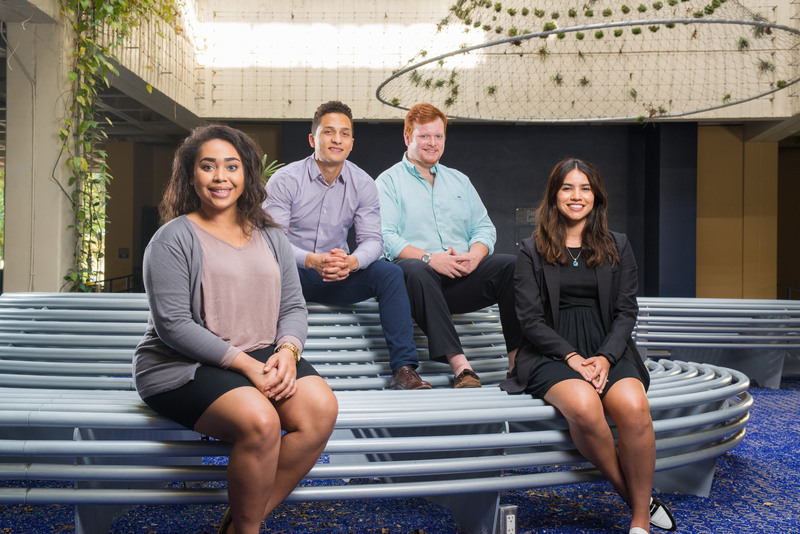 The council, which serves as the link between business and academia, is comprised of business and civic leaders who act as brand ambassadors and advocates for FIU in the community. Together, they not only raised $230,000 but launched a series of initiatives, campaigns and special events to raise awareness for Fostering Panther Pride. Monica Rabassa, vice president of marketing, corporate communications and public affairs for Univision Radio and President’s Council member, organized a Univision mini campaign, which included live television and radio interviews to promote the program. In May, entrepreneur and FIU alumna Luly Balepogi ’00, former chair of the President’s Council, hosted “SPARK with Luly B.” – a one-day women’s conference that brought together 250 FIU administrators and South Florida professionals. The event raised another $23,000. President’s Council members Carmen-Perez Carlton ’82 and Irene White MBA ’86 spearheaded a partnership with Florida Power & Light and Fibernet Direct to hold a private exhibit and reception at the Frost Art Museum in March that raised $22,900. Steven Marin Jr. – an FIU freshman, Honors College student and member of Sigma Chi – spearheaded an initiative and conducted his own grassroots fundraising campaign, securing $50,000 in donations from a wide variety of community leaders. Most recently, the President’s Council collaborated with Kiwanis of Little Havana, the Latin Builders Association and the Cuban American Bar Association for “Vine & Dine,” a wine and food networking reception that brought in $69,000 to support the program.